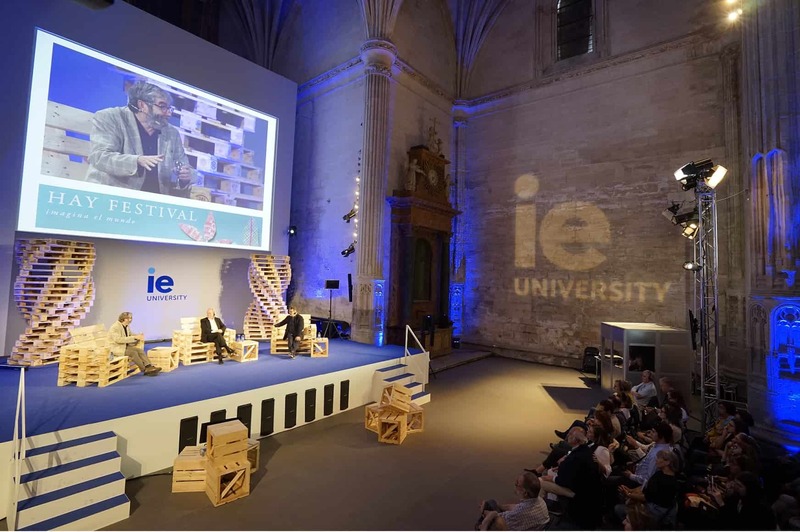 We are excited to announce that IE School of Architecture and Design will be a partner of the Hay Festival 2018, which will take place in Segovia from September 21 to 23, hosting a number of different activities. For another year, architecture will be one of the key themes of one of the greatest festivals of ideas in Spain. Lars Lerup, Swedish architect, writer, expert on cities and former Dean at Rice University, will join Ricardo Devesa, architect and editor-in-chief of Actar Publishers and UrbanNext, in a conversation on the current, major transformations affecting cities. Kazuyo Sejima, founding partner of SANAA Architects and Pritzker Prize laureate 2010, Laszló Baán, Director of the Museum of Fine Arts in Budapest, and Dean Martha Thorne will discuss changing roles of museums and SANAA’s project for the new National Gallery of Hungary. Jacob Benbunan, an authority on international branding, CEO of Saffron Brand Consultants and professor in the Master in Strategic Design of Spaces, and Walter Mariotti, editor-in-chief of DOMUS, will converse on the Storytelling and Power of Design. Mies on Scene, a documentary film on the building of the iconic Barcelona Pavilion by Mies van der Rohe and Lily Reich, will be shown followed by a conversation with film director Pep Martín from Nihao Films, Ivan Blasi, curator of programmes at Fundació Mies van der Rohe in Barcelona and Dean Martha Thorne, moderated by Nicolas Valencia, News Editor at Archdaily.